Rope: Ethereal Power of Rings is a young adult paranormal novella written by the World Codex Staff. John Rollins has long had an interest in the metaphysical. An interest which was piqued most recently by his receipt of a valuable Roman artifact, a golden ring, which had been sent to him by a friend, along with a missive describing how that item had come into the hands of his family. Bret Bartlett, the sender, was convinced that the ring was cursed, and he had determined to bury it once more in the exact location where it had originally been found. His story was a rambling and intricate one which included the story of the near death by drowning experienced by his father; a golden ring found on a beach after a rescue of drowning swimmers; and a windfall inheritance that led the elder Bartlett and his sons to purchase a supposedly haunted house where a woman had died in her bathtub. 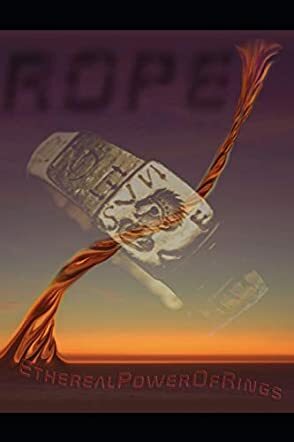 The World Codex Staff’s paranormal novella for young and new adults, Rope: Ethereal Power of Rings, poses a fascinating mystery on the power of objects, in this case a heavy golden ring which seemed imbued with a baleful life of its own. I loved the antiquarian feel of the Bartlett story and especially enjoyed the tie-in to Tolkien’s Lord of the Rings Trilogy. As with the other World Codex Staff offerings I’ve read, I found this novella to be thought-provoking and edgy; writing that makes you ponder a bit and stays with you for a while. Rope: Ethereal Power of Rings is most highly recommended. Rope: Ethereal Power of Rings by members of the World Codex Staff is a look at a paranormal story from the point of view of three different types of parapsychological phenomenon: ROPE, or Resonant Occultic Parapsychological Energy, The Ethereal Power of Rings and SMR, or Subjective Mystical Reality. This is explained in the Prologue as a means to introducing the subject of the mystery, the discovery of an ancient Roman ring that seems to possess some kind of supernatural power. Given the puzzling nature of this enigmatic ring, the man who discovered it and has been affected by its apparent influence sends it to a friend in England for safe keeping. The recipient, the author of the Prologue, intends to study the artifact, given his interest in parapsychology and apparent expertise in the area. The story continues first as a letter to the English recipient of the ring and then as a narrative about the man who sent the ring to England, ending up as a conversation between the original discoverer and his brother. Interesting connections are made to the concept of the discovery of the ring, which was believed to be one of a pair, and the Ring of Power made famous by the series of books by Tolkien, as well as a nod to the belief that many Native Americans are sensitive to otherworldly visions. The writing is crisp and straightforward, drawing you to unravel the mystery presented within the pages. Well done, interesting and a sure inspiration for people who are interested in this topic to read more. Rope is a unique tale perfect for anyone interested in the lesser known parapsychological mysteries so popular in current television programs or for those who want to explore what might lie beyond the visible world with the help of World Codex. Sometimes a ring is just a ring, but sometimes, a ring is a symbol of something far more dangerous. What could it mean for a ring that is centuries old to suddenly come back from nowhere? Could it really mean a curse or is there nothing so malicious at play? Bret and Oliver aren’t so sure when it comes to an ancient ring, discovered in London, that has a more than intriguing backstory. In fact, Rope: Ethereal Power of Rings might be about more than just a ring, and instead about a history of communication with the gods. Rope: Ethereal Power of Rings by World Codex Staff is a story of a hidden power that the two boys don’t totally understand. The ring Bret has found might mean nothing at all and may just be part of an urban legend or any old ring. But it might be something more powerful than that. This book is one that will leave you guessing and make you definitely question your beliefs about the world around you. It’s possible that nothing is really as it seems, but the only way to know that for sure is to delve even further into the power of the occult and the dangerous goings-on in the world. This story seems far too crazy to be true, but at the same time, it’s too crazy not to be true. What will you believe when it comes time to look at the ring and decide just where it should go, and how?